I love Facebook’s mantra of “done is better than perfect” and it resonates with my opinion that nothing you can do can ever be perfect. Except for one thing: you can be perfect at being yourself. We’ve all heard the constant drum beating that surrounds your personal brand (especially what that looks like online) and how you should be building/nurturing it. 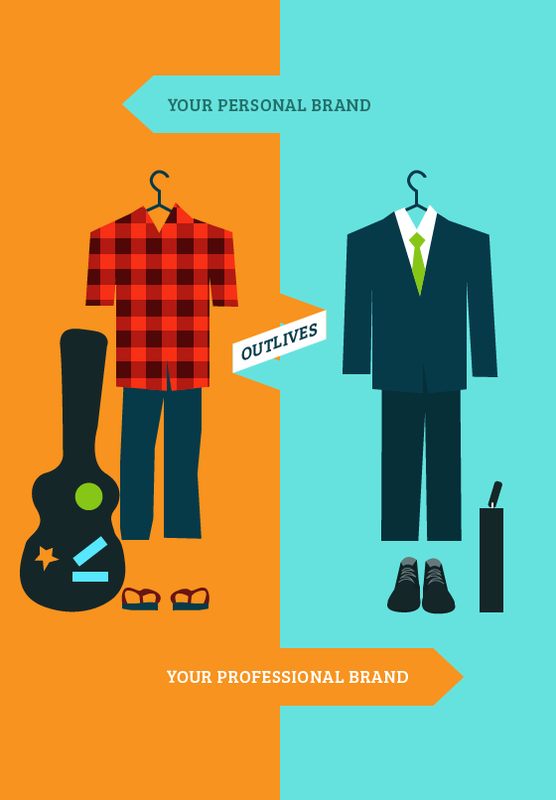 The experts say that – as millennials – our personal brands will be the determining factor in our professional success. Personally I agree and I view personal branding as the modern version of the traditional resume. I also believe that my own personal branding activities over the years (which at one stage included renaming myself “Adii Rockstar”) has been one of the major drivers of my professional success, which has included founding WooThemes and now my new startup, PublicBeta. But loads of the things written about personal branding is either generic or crap. I hate it when people hide behind illustrated or abstract avatars on their social profiles. How am I supposed to engage with you or build a relationship when I can’t really put a face to a name? As a human being, I prefer the most natural type of communication to build relationships: face-to-face. Unfortunately that doesn’t work well online; so the second best option is for you to use a real photo of yourself on your social profile. The best thing I ever did was to hire a professional photographer to take press photos of myself. I’ve re-used these photos on countless occasions for press-related purposes and I also cycle through the portrait shots on my social profiles. All of us knows at least one enthusiast, semi-pro photographer in our group of friends who would be willing to do this for free or for cheap. So get your photo taken already and really be the face of your personal brand. Pretty much every industry out there is congested and highly competitive, which makes standing out from the crowd so much harder. But you have a competitive advantage: you are already unique. So stop hiding that individualism. Stop hiding behind excuses and facades. Just be yourself. Passion is such an infectious thing (similar to smiling) and it spreads so quickly. One of the best ways to show who you truly are is to share your innermost passions. Passion is the fuel that should power all of your personal branding activities. It should be the first and the last thing that people hear/see/feel when they interact with you. Their perception of your passion should be able to accurately define who you are and how that relates to your personal brand. Nobody is gonna associate them with a dull, stale and pragmatic brand. The other day I was in a workshop about hiring and the presenter said: “Anything you do is everything you do.” She was suggesting that you can evaluate a new candidate by picking up small clues and cues in the seemingly irrelevant and insignificant things that they do. In this regard, email is one of the most prevalent ways in which you will communicate with other people and it thus becomes a representative part of who you are. The way you write, the words you choose and how you communicate will shape the perceptions of your brand for the recipient on the other side of that e-mail. So think twice about how you approach this seemingly insignificant task, as your personal brand can either gain a great boost or suffer a devastating blow depending on how you go about this. We live in an age where there’s always more than one answer to a question. There aren’t many things in life that has that one, definitive answer. A silver bullet. This means that everyone becomes a teacher, especially if they are sharing their own experiences and lessons learned. Doing so adds context to what the experts are saying and in that sense alone it becomes very valuable. People love and appreciate those individuals that take the time to share their experiences and teach something they’re passionate about. For me, it’s sharing my experiences about branding (hence this post). Consider writing an e-book, hosting a Skillshare class, becoming an expert on Clarity or speaking at a local conference. This is by no means a definitive list in terms of your personal branding. It should however be a reminder that branding is mostly about what you actually do. Yes, it helps to have a nicely designed personal website. And in terms of communicating your passion, a blog is a great platform to achieve that. But to be successful with your personal branding you have to take a more holistic approach. That approach starts with you: who you are, your ideas, your opinions and the things you are most passionate about. Double down on that and you’re off to one helluva start. About our contributor // Adii Pienaar is the co-founder of WooThemes and author of Brandiing, a practical guide to content strategy and branding for business. Adii is now ‘paying it forward’ and launching PublicBeta, a learning platform for entrepreneurs by other (very) successful entrepreneurs. You can follow him @adii.